Ezekyle Abaddon has many names. 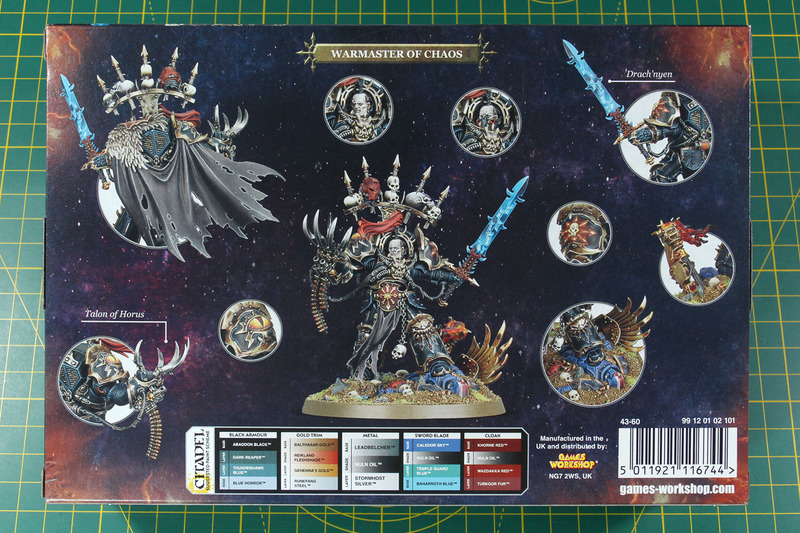 He is known as the Despoiler, Warmaster of Chaos, greatest Champion of the Undivided Chaos, and Lord of the Black Legion. As such he has led multiple Black Crusades onto the Imperium and the latest attack on Vigilus. 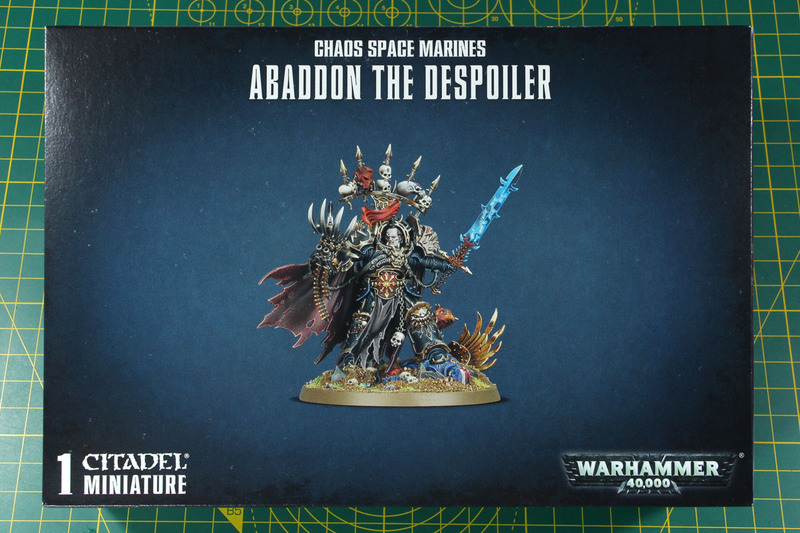 This new campaign supplement for Warhammer 40,000 is one of the reasons, why Abaddon the Despoiler received a new model in 2019, more than 20 years after the first Abaddon miniature. Although I always liked the models of the Bolt Action series and the system, I could not really get attached to the game for a while, due to it’s real historical background. 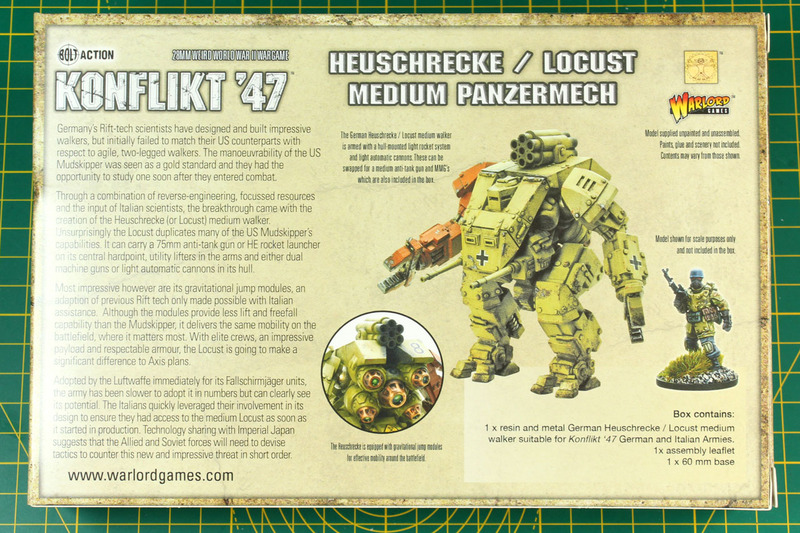 However, when the Bersaglieri for Konflikt 47 appeared in June 2018, my interest was aroused. 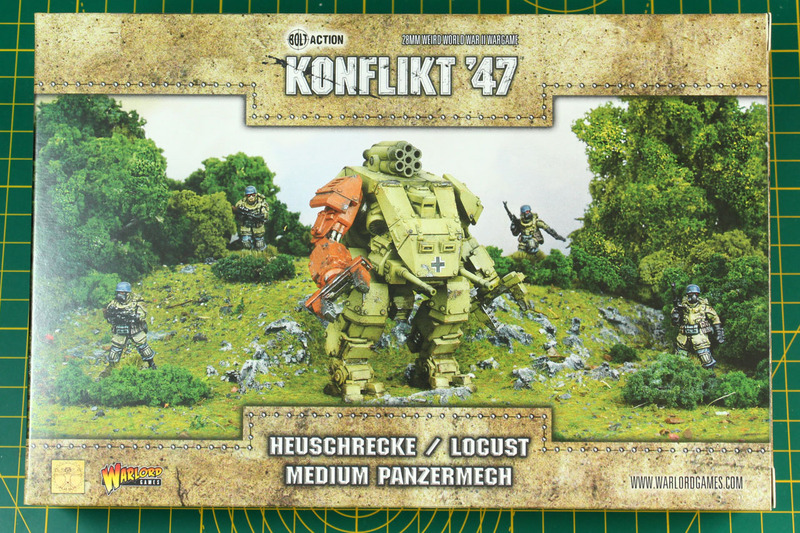 Konflikt 47 offers enough fiction to successfully bring Bolt Action into a Pulp setting without sacrificing the existing range of models. 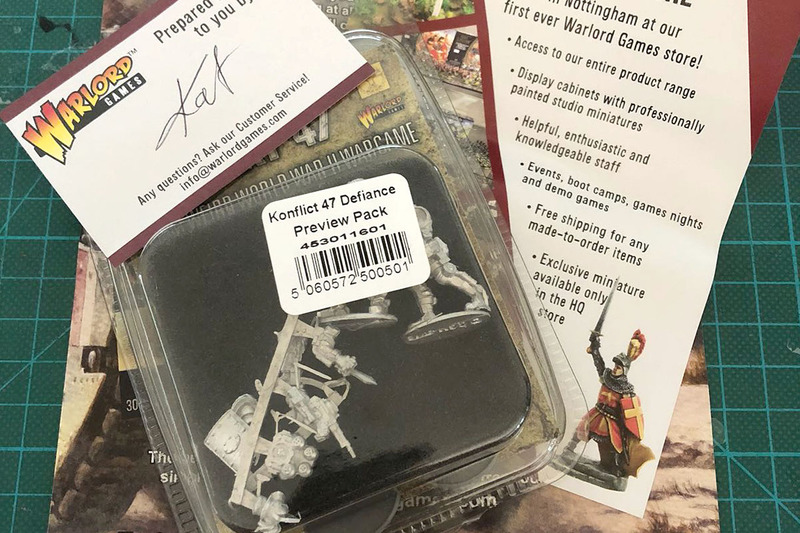 Since painted minis are an important atmosphere driver for me, I was of course interested in the quality of the models and the Defiance Preview Pack was for 7.5£ a good way to take a better look at the K47 Italians. At the end of August, I've held a Konflikt 47 walker in my hands for the first time and was thus able to gain my first experiences with the Coyote kit. The walker is delivered in a box, but is effectively housed in a classic clampack. 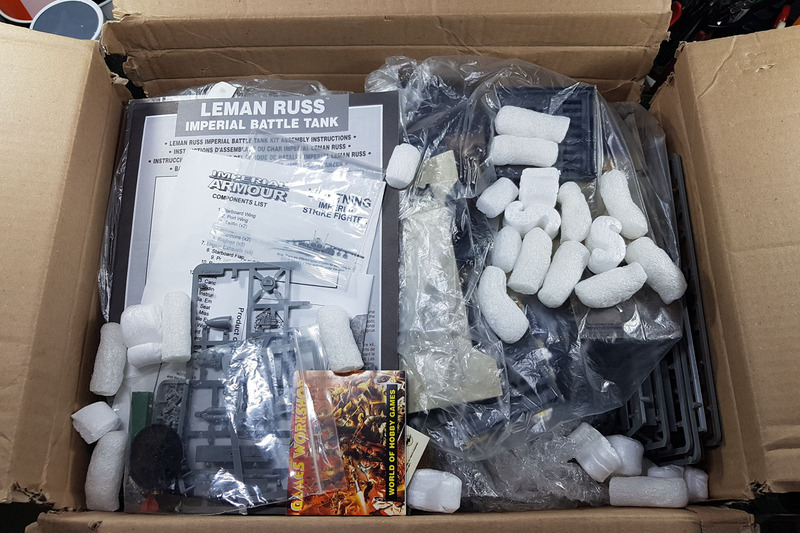 After I freed the Mech from his package, the following picture of contents could be seen: lamps, flamethrower and heavy machine gun were included twice, a regular one once. 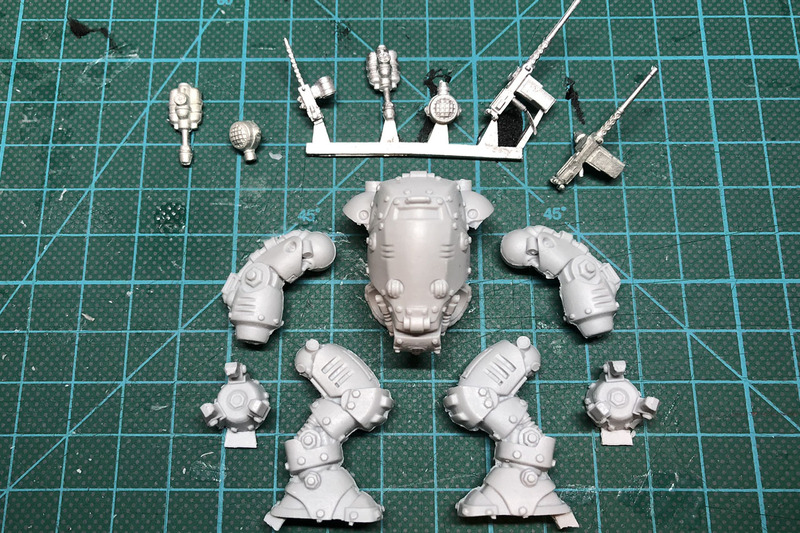 The flamethrowers and the light machine gun are mounted on the arms. If you choose only to use the flamethrowers, the british Guardian variant of the Coyote is built. On the Sweetwater board (a German speaking online community with focus on historical wargaming), on irregular intervals a centralized order at the Perrys is organized. 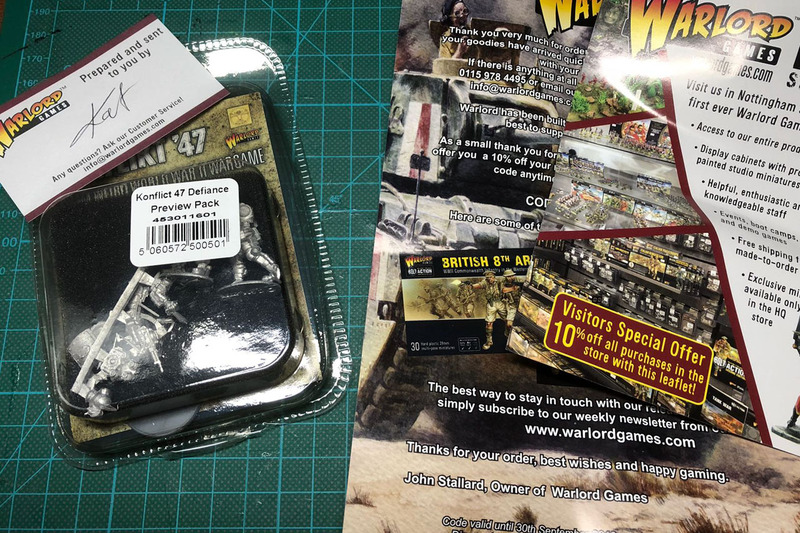 Usually I'd suggest supporting your local dealer, but as the Perry blisters and individual sprues are more or less direct only (you can buy them at events like Crisis or Salute via Dave Thomas) this is a good way to save on shipping and even get a bit of a discount. Thanks to emigholz/Thorsten for organizing the whole bit. The last one was held before christmas, but as the Brexit (maybe) is right in front of us, we did a quick "last" one. I am quite happy to announce, that my hunt on the Oldhammer stuff, that I covered a couple of weeks before, was rather successful. 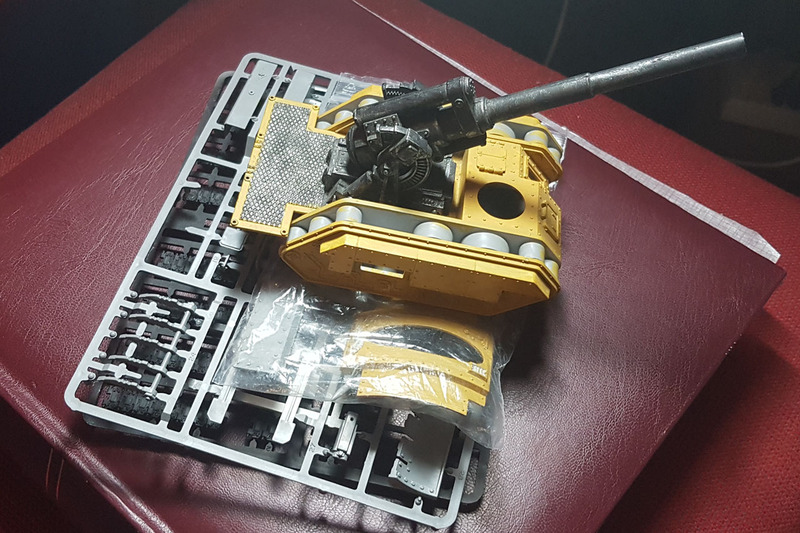 Via the introduced and mentioned channels I managed to acquire some interesting kits and spare parts to build the Imperial Guard retro project around. With the Basilisk it was a bit tricky, as for some reason, the new kit is currently Mail Order only and thus making the used kits "more" rare. As with the Basilisk, one of the main problems are missing parts, like the fence on the rear being incomplete. I didn't care for the crew, as that was added later in the third or fourth edition and not part of the initial release in the 2nd edition. A crew that was important for me, was the one of the Griffon tank. I managed to buy the pair of soldiers, incl. the commlink back pack, and got quite some treasures with them. 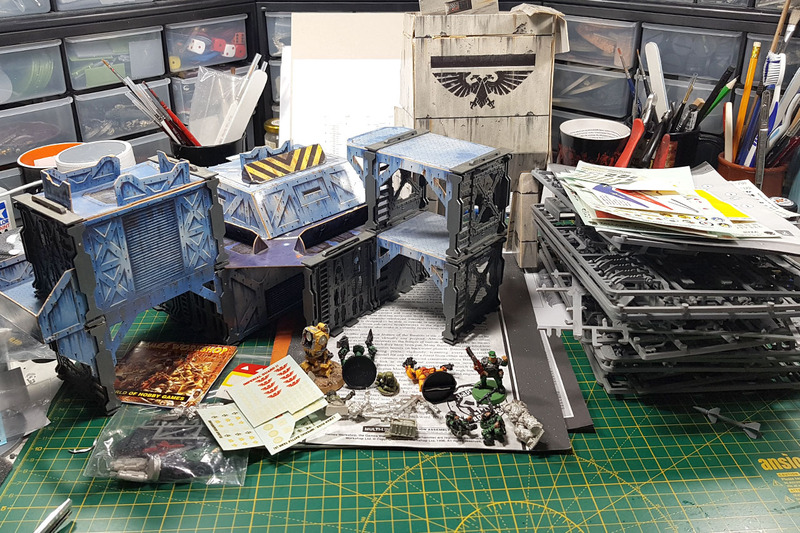 Yes, that are the old cardboard and necromunda bulkhead terrain pieces. And the stack on the right is vehicle accessories sprues, mostly complete. Believe me, I'm in heaven. Especially with buying older vehicle kits, often the hatches or some parts like that are missing or incomplete. 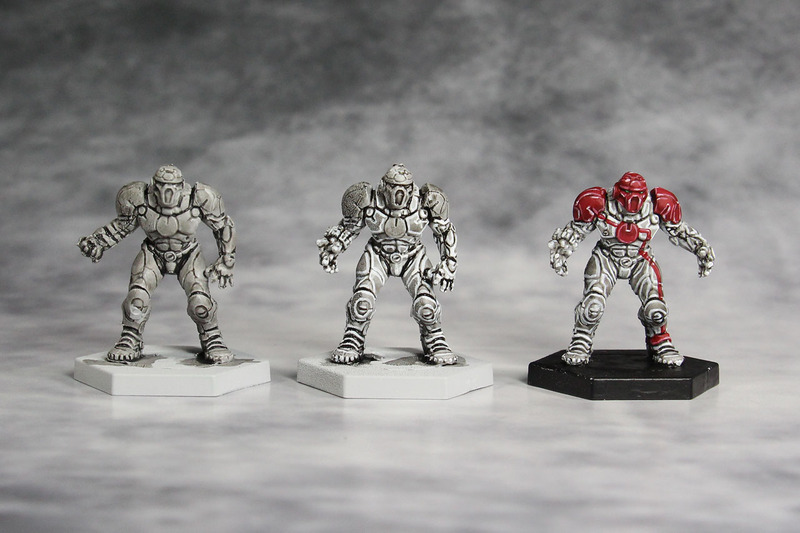 Warlord Games is expanding and expanding their range over the last decade. Some into fiction settings, like Gates of Antares, Dr. Who or with the latest Warlords of Erehwon into fantasy. 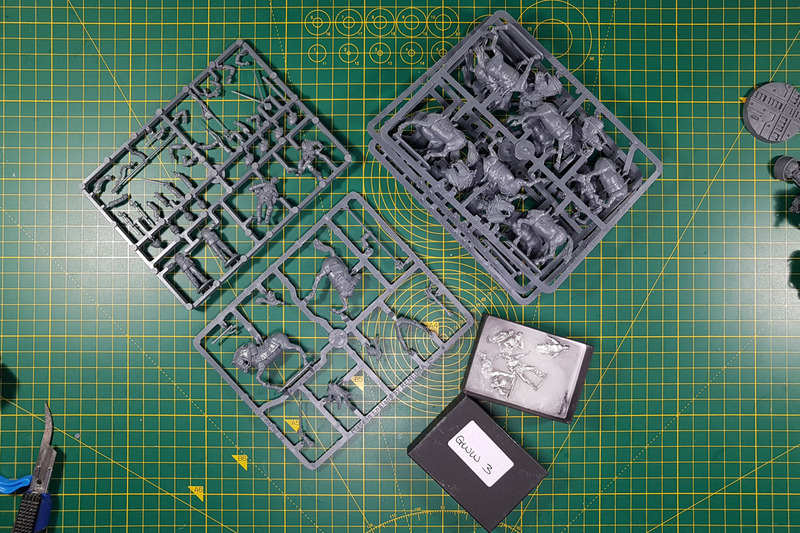 But the main strength of Warlord is with historical games and they stepped out of their vast 28mm range with two new rule sets in 2017 and 2018. We're talking the aerial fights of Blood Red Skies and covering World War 2 with a naval game in Cruel Seas. As for Blood Red Skies, dogfight games have been around for quite some time. 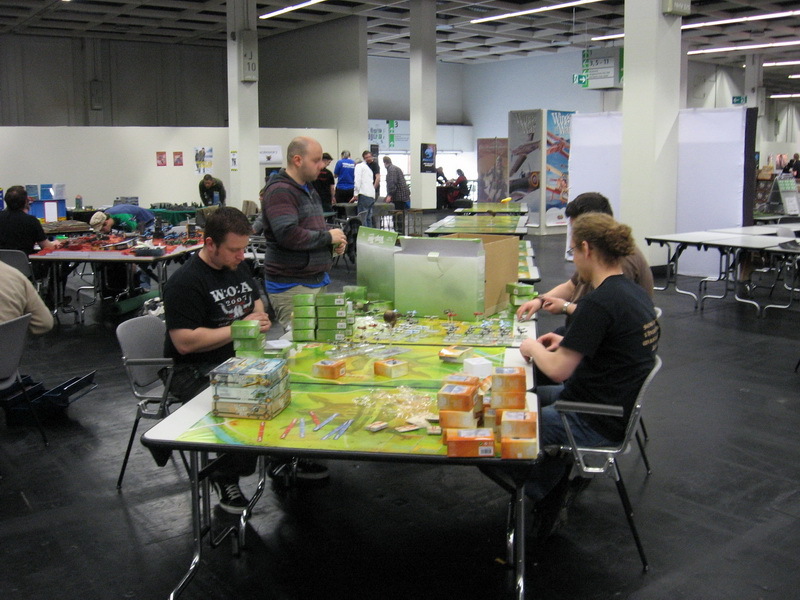 One of the most popular was Wings of War (2004), which paved the way for many other games to follow. Originally introduced by the Italian game studio Nexus and picked up by Fantasy Flight Games for translation and distribution. 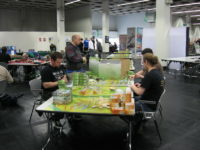 We even took an attempt on the record of most players playing simultaneously back in 2010 at the Tabletop Test Area of the RolePlayCon in Cologne. Everyone has to eat something and the Ishibashi Interstellar Food Conglomerate, often simply referred to as Ishibashi FoodCo, knows that. The company is specialized in serving the outer rim of the Co-Prosperity Sphere, as many of the regular suppliers are avoiding these zones. Now Ishibashi also wants to take root in the galactic core and wants to draw attention accordingly. What better way is there to do that than with a corporate Dreadball team? 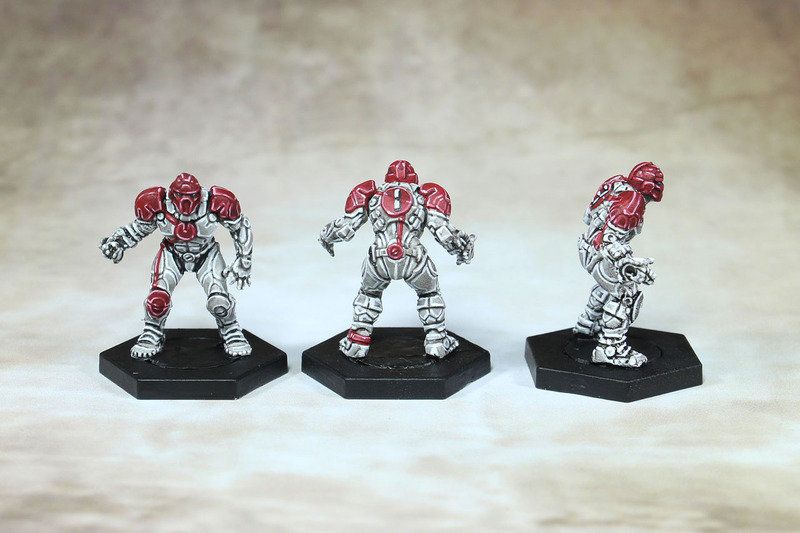 And with this little intro I welcome you to the long-announced series of Dreadball articles. Last year, I introduced my Maurauders team and showed what can be done with a little bit of effort. 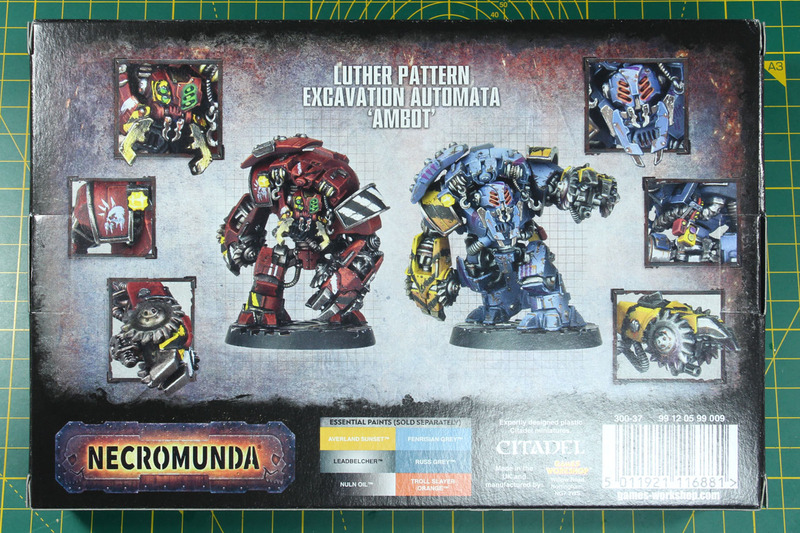 Another reincarnation of the Ambull is going to be released today, after the Dread Ambull, the Necromunda gang leaders can bulk up with some big buys, the Luther Pattern Ambots. Back in April 2018, so almost a year ago, we saw the first artwork in a teaser by Forge World. 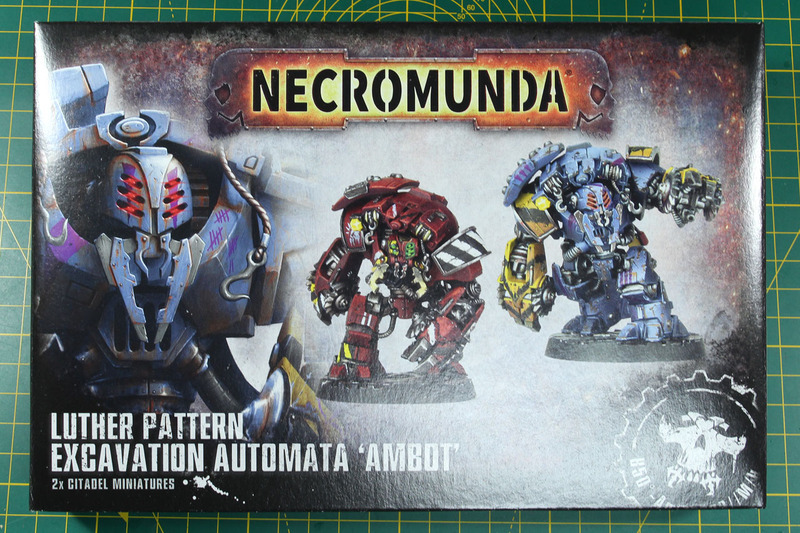 So when the miniature(s) were introduced this January on the New Year's Open Day, it was a bit of a surprise, that the Ambot would be released as a plastic kit, available at Games Workshops and independent retailers, not as a resin kit (like the bounty hunters and such) exclusive through Forge World. The Ambot is a mechanical recreation of the Ambull, using its instincts to claw and dig through soil, as a mining robot, or in high-gothic the Luther Pattern Excavation Automata "Ambot". 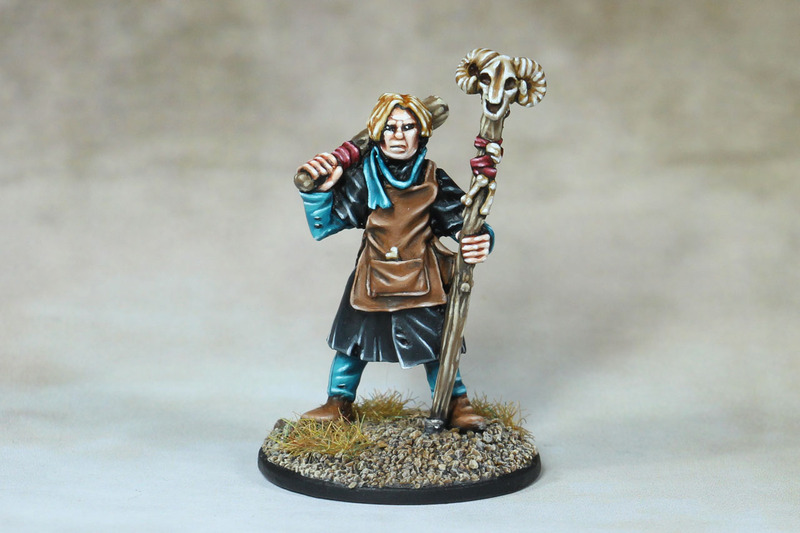 A new project always has something magical about it, and in the case of Frostgrave that's literally the way it is. As Dennis summarized nicely in his review, Frostgrave is a pretty simple setting - two rival wizards seek treasures in the frozen city Felstadt. That's it. After the flood of complex and lengthy fantasy games on the market, this is refreshingly simple. 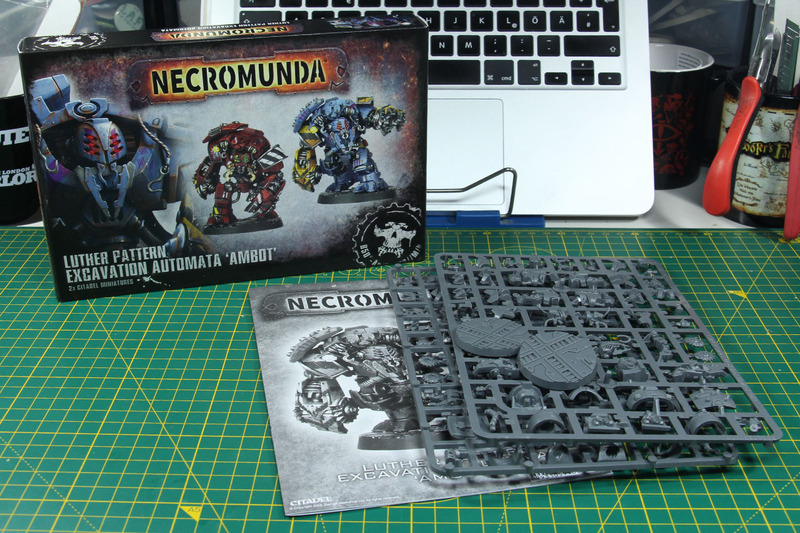 Due to the vast selection of fantasy models on the market, the creative side stands in an extreme contrast to this. I started with a similarly uncomplicated approach this time. I just wanted something fantasy, but I wanted to draw a bit more from the well-known generics and not dive into the world of ultra-high fantasy from a well-known manufacturer. For this I play a different skirmish game. Another incentive was my experience with Dead Man's Hand, in which I painted models in the classic 28mm scale and where it was fun to paint a few generic minis, which can be used in several games.